Outstanding Alumni and Teachers gather for the 2018 homecoming parade. More than 25,000 students have graduated from Adrian High School! From the mid 1850s until today, all graduates are listed in a data base housed in the Alumni Office at the high school. 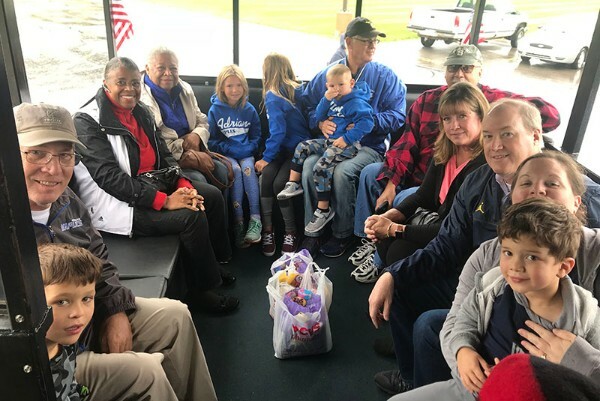 Over the years the Alumni Association, which has its own bylaws and leadership committee, has held various activities to build community among Mighty Maples. A long-running banquet held at the high school for alumni of all ages has been replaced by homecoming activities and individual reunions. Today various regional gatherings are being held throughout the nation, which bring alumni together in the area where they live so that they can network. Become a member now!